Preheat oven to 400 degrees F. Cut butternut squash in half, place cut side down on a baking sheet and bake for 30 minutes until tender. Discard seeds, scoop butternut squash out of skin (1 cup worth) and place in a food processor. Add almond milk cream cheese, honey, thyme, rosemary, shallot and salt and pepper. Puree until completely combined. Place mixture in bowl and fold in pomegranate seeds. 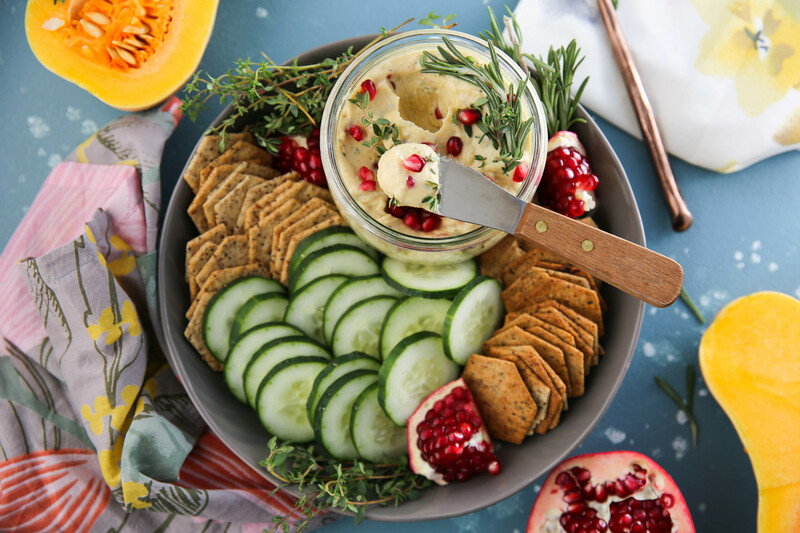 Serve warm or cold with gluten free crackers and veggies! © 2018 PaleOMG.com. All rights reserved. Sign up for my PaleOMG newsletter to get recipes, discounts, and stories straight to your inbox for FREE!